Mesprit in game: 373 Who? Important notice! Pokemon Mesprit is a fictional character of humans. Mesprit (Japanese: ????? 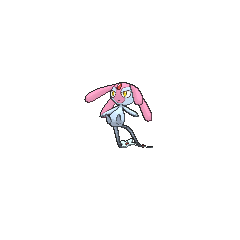 Emrit) is a Psychic-type Legendary Pokémon introduced in Generation IV. 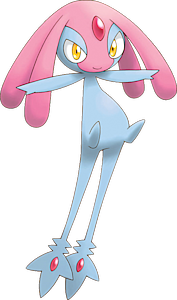 Along with Uxie and Azelf, Mesprit is a member of the lake guardians, the Sinnoh region's Psychic-type Legendary Pokémon trio. Mesprit is the increaser of emotion. Mesprit is a small, gray, fairy-like Pokémon. 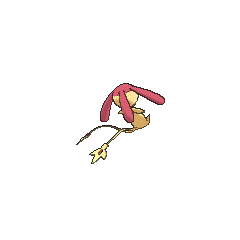 It has two tails that each have a red jewel encrusted in them. These are, presumably, two of the jewels which comprise the Red Chain. Mesprit has a partially magenta face with four long, drooping appendages and another red gem encrusted in its forehead. Mesprit's spirit can leave its body without dying and return to the body at will. Legends say that a person that touches it will have their emotions faded away. It was shown in The Needs of the Three! and The Battle Finale of Legend! that it can teleport itself, as well as other Pokémon and humans. Though playful, it is a bit mischievous. A statue and silhouette of the same Mesprit appears in A Secret Sphere of Influence. Mesprit, along with its trio, made a brief appearance in Pokémon Mystery Dungeon: Explorers of Sky - Beyond Time & Darkness as the protectors of the Time Gear. In the Diamond & Pearl chapter, Mesprit was to be captured as part of Team Galactic's plans. Commander Mars led the operation to capture Mesprit, and succeeded; though Diamond had tried to stop her, he was captured along with Mesprit and taken to Team Galactic's Veilstone headquarters. Mesprit connected with Diamond the most, as he had great emotional control; Diamond also saw Mesprit at Lake Verity when he was young. Along with Uxie and Azelf, Mesprit was captured by Team Galactic to compose the Red Chain so that they can control the Legendary Dialga. It was eventually freed and helped stop Dialga by breaking the Red Chain. 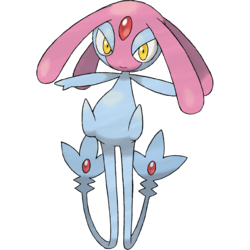 A Mesprit was one of the Pokémon, along with Uxie, Team Galactic kidnapped and Red and his Pokémon went into their headquarters to save the two and reunite them with Azelf. On the Spear Pillar stage, occasionally the lake guardians make surprising "cameo" appearances during the fight; they do nothing, however. An Emotion Pokémon. It sleeps at the base of Lake Verity, but once engaged in battle, it will rise from the water to fly around the Sinnoh region. 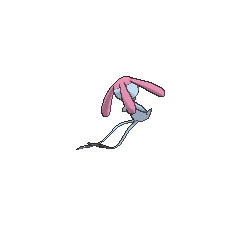 Even if you see this Pokémon after your initial meeting, it'll try to flee battle, so catching it is quite a task. Pokémon Mystery Dungeon: Explorers of Time and Explorers of Darkness: Mesprit is the guardian of the Time Gear of Quicksand Cave. It enhance humans the nobility of sorrow, pain, and joy. Although it slumbers at the bottom of the lake, its spirit is said to leave its body and flitter on the water surface. It sleeps at the bottom of a lake. Its spirit is said to leave its body to fly on the lake's surface. Verdant Plaza: Green Hide-and-Seek (Reward), Entranceway: A Fateful Showdown! Moves marked with a superscript game abbreviation can only be bred onto Mesprit in that game. Teleport Psychic The Needs of the Three! 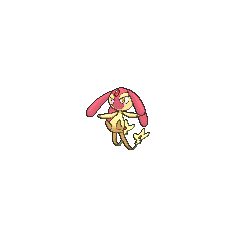 For other sprites and images, please see Mesprit images on the Bulbagarden Archives. 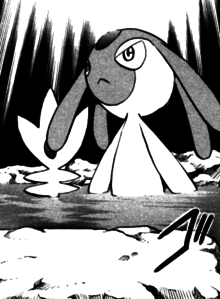 Mesprit is somewhat unique among the members of its trio, as it leaves Lake Verity to roam Sinnoh after being encountered by the player in Lake Verity's cavern. 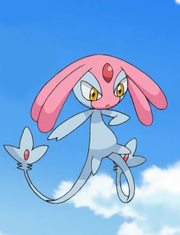 In Pokémon Mystery Dungeon: Explorers of Time, Explorers of Darkness and Explorers of Sky, Mesprit is the only one of the lake guardians to fight the main character in battle during the main story; despite being depicted as a calm and peaceful Pokémon, it was enraged by a previous attack on its counterpart Uxie and quite fiercely attacked the hero and their partner. Mesprit shares its category with Kirlia. They are both known as the Emotion Pokémon. Mesprit is the only lake guardian not to be owned by Mysterial in Pokémon Battle Revolution when Pokémon data is used; it is used by Mysterial only when no Pokémon data is transferred into Pokémon Battle Revolution. Mesprit is based on a spirit or a sprite and the color magenta. Mesprit and the rest of the trio could possibly have originated from the Imperial Regalia of Japan, which are also called the Three Sacred Treasures. Mesprit would be the Yasakani no Magatama, which embodies benevolence. Mesprit may be a combination of me and esprit (French for spirit) or sprite. Emrit may be a combination of ?? emu (to smile) or emotion and esprit or sprite. Korean ???? Emrite From its Japanese name; may contain English word "light" or pun on the verb "enlight".